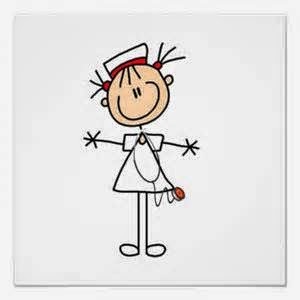 What are the keys to keeping nurses happy? One more time from ESICM, I would like to share a very interesting review article signed by Silvia Calviño. Nurses in Intensive Care Units are confronted with a difficult working environment, with a high level of responsibility and stress, and are confronted on a daily basis with pain, suffering and death. These aspects of their work can negatively affect job satisfaction, inducing a high staff turnover and indirectly, affect productivity and efficacy. In the recent article “Nurses well-being in intensive care units: study of factors promoting team commitment”, the authors aimed to examine how organisational factors could affect the experience of identification and commitment among ICU staff. The study consisted of a cross-sectional survey with a self-reported questionnaire administered to confirmed nurses of 12 ICUs in four Italian urban hospitals, based on validated scales derived from psycho-social literature. Consistent with previous studies, the answers showed that three variables were directly related to team commitment: job autonomy considered as freedom and discretion in scheduling tasks, making decisions and choosing procedures; nurse-physician collaboration and communication; and perceived quality of practice, which affects identification with the team and its objectives. Organisational tenure was not a significant factor in this study. Furthermore, the positive relationship between these variables and team commitment were mediated by job satisfaction and perceived supervisor support, crucial to develop a good climate for clinical practice. Translating these findings in new management strategies could represent a breakthrough in ICU organisation: supervisors should not only increase autonomy, but consider individual’s needs as well as the unit’s needs, caring about the well-being of healthcare professionals and developing the interpersonal relationships within the unit. Such strategies could increase team collaboration and commitment, with preservation of a well-qualified, efficient and motivated workforce, ready to face the challenges of working in the ICU and improving indirectly the health of patients. PD: Thanks to the brilliant www.enfermeraenapuros.com for her pictures and cheering up our days!